A somewhat silent BIS upgrade has been released. 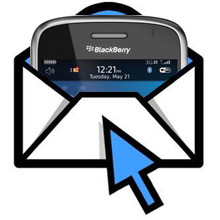 According to many the upgrade has resulted in much faster e-mail delivery over IMAP. For those on IMAP, this is great news. In the past, only users on the BES had e-mails pushed to their device instantly, while lowly folks on BIS had to wait a few minutes. Looks like the gap has been bridged. Anyone receiving BIS e-mail via a server that supports IMAP IDLE will receive messages in real-time. Has anyone else out there been waiting for this... for a long, long, long time!? About gosh darn time, right?